Disappointed by the latest Smashing Pumpkins reunion? Don’t waste your time trying to get into their new concept album ‘Teargarden by Kaleidyscope’ – just take a trip down memory lane with these expansive new box sets. Released just in time for Christmas, this may seem like a cynical marketing ploy from their label, but at just £17 for two discs and a live DVD, it’s certainly great value. The rationale behind this release is that it’s 20 years since the Pumpkins’ debut album ‘Gish’ was released. 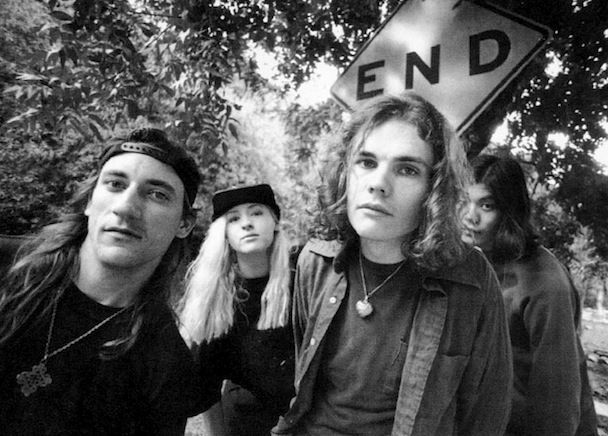 When that record came out it marked Billy Corgan and co’s arrival on the emerging grunge scene, but two years later ‘Siamese Dream’ took things to a whole new level with enduring alt-rock classics such as ‘Today’, ‘Disarm’ and ‘Cherub Rock’. Here you get the original albums digitally remastered on Disc One, meaning Darcy Wretzy’s basslines sound stronger and James Iha’s guitar solos sound clearer, all without losing the grungey essence that made this band a serious contender to Nirvana and Pearl Jam.